The Nissan Skyline has been around for quite some time. It was supposed to be around longer than the Lancer but it went on hiatus in 1973 (which was around the same time the Lancer came out) and came back in 1989. Immediately after it came back from being discontinued for almost 16 years the codenamed “Godzilla” made its return a sure worth the wait. It immediately won 29 races consecutively at the Japanese circuit. Even though the name “Skyline” did not really come from the then Nissan or Datsun they really made something out of the line that was bought from Prince. Nissan only managed to come up with 2 models before they decided to let it rest for the meantime. The first model came out 1969 and it ran for 3 years. True to the more recent models of the Skyline it was offered both in 2-door coupe and 4-door sedan. The second generation was then released and it ran for only a year and it only offered the 2-door coupe. The third generation was the first come back after 16 years of hibernation. The Nissan Skyline GT-R E-BNR32 or the R32 for short has grown its reputation quite fast since it had won a number of races within the 5 years of its run (1989-1994). This model was only offered with the 2-door coupe with a 2.6L engine and a 4 wheel drive system. It is not entirely a very fuel efficient system that would be attractive to a family who is starting out or a young professional who’s getting his/her first car. Nissan had a different market in mind. They wanted a car that can be driven in everyday roads but would not feel out of place on the track. The 4th generation the model aptly called as the R-33 understandably fixed the problems that the R-32 had which was the weak oil pump drive collar. This time around the model was offered with the 4-door sedan body type much like the first generation. Even though the R-33 and the R-32 shares basically the same turbochargers and engine, this is the model where Nismo came into the picture and tweaked the car and looked into how far it could go which was dubbed as Nismo 400R. 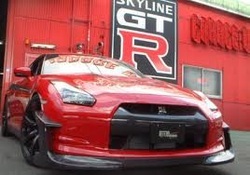 Come 1999 we now see the 5th and last generation of the Skyline. The R34 made it on record as an introduction of Japan in coming up with a proper super car. Come to think of it, Japan did come up with decent sports cars in the past but they appeared too tamed or too technologically endowed that it detached the driver from the action of driving. Even though it only went on a 3 year production run it definitely was regarded as worthy replacement of the former models. It is the first model to feature the LCD which displays various details about the car in real time. The very last run of production was called the GT-R V-spec II Nur (to name it after the infamous German racetrack the Nurburgring). To read more about automotive news you can visit this website: http://www.dmv.com/blog. They say that vans are pretty much driven those middle age men or soccer moms. Hyundai sees this differently when they went ahead and designed the Starex. It is true that the older models of the van barely give anything to the imagination. It was too plain ugly. The most recent model though is definitely different. It has a more dominating style different from the usual vans that is found on the market. This is the model that is going against the Japanese models of Toyota and Honda; the Corolla and the Civic respectively. It didn’t really stand a chance a couple of years back when it had the quality and styling which is found 10 years back. This is no longer true in the recent model which was the total overhaul of the Elantra model. Is it ready to take on the market share of the standard sedan on a budget? I would have to say that it has a better chance now. The compact car market has been dominated by a number of brand names already. Hyundai tried to take theirs by creating the Accent. They were not really successful outside the Korean market? Quality and styling has been questioned previously. The 2012 Hyundai Accent is now seeing the increase in the market shares of Hyundai and really is found as worthy alternatives for the Honda City, Mazda 2 and the likes. There are a lot to choose from premium Sedans in the market if you are looking for such when you are not able to afford the bigger names like BMW or Mercedes Benz. The usual next best thing is to go American or Japanese. What about Korean? This is not usually a sensible choice before but the new Sonata is leaps better in terms of luxury, comfort as well as performance. This is the model that really placed the Hyundai brand on the automotive map. The sports coupe goes back in 1996 but it was not really noticed until the Genesis came about. This is a whole new built of the Coupe which was released in 2008. I would have to say that this could be the best move Hyundai ever made because it has given Hyundai a chance to really show their prowess in design and engineering. To read about DMV processes and auto insurance, you can visit directly to this website: http://www.dmv.com/. Auto insurance: Get it cheap! To establish financial responsibility, for drivers, one must possess the minimum auto insurance required by the state. Although state laws vary when it comes to the minimum, most options does not come affordable to mediocre-waged individuals. However, there are cheap auto insurance options that are offered by the state, but one must fit their criteria to qualify for a coverage. To know more visit this wesite: http://www.dmv.com/auto-insurance. Before you jump in to your state’s insurance office, you should first consider looking for a cheap auto insurance policy. Popular insurance companies like State Farm, GEICO, All State, etc. are the most trusted companies in the market today. They are known to provide quality after-sales service at a very competitive rate. Remember also that they are just a fraction of the many competing auto insurance companies in the market. It is best if you shop around--you might save up to a hundred dollars a year. Other ways to get your insurance cheap is through raising deductibles. Especially on collision and comprehensive coverage. If your car is a bit too old, you might want to consider dropping these types of coverage. You should also me mindful about discounts. One way to know about discounts is through asking insurance agents. Some companies offer discounts even to students who have good academic grades. I don’t know how they come up with that but if you are a college student you better work hard in school to qualify for auto insurance discounts. Also, if you have not committed any driving violations for a long time, let’s say 3 years, you can ask for a discount. Having a clean driving records only proves that you are a responsible driver--always abiding to traffic rules and regulations. Your driving records also tells insurance companies that you are less likely to cause car accidents, and therefore less likely to make claims. Taking driving courses may also get you a discount. This will guarantee the insurance companies that you are equipped with enough training not to cause an accident. Moreover, insurance companies value and reward loyalty. That is to say that if you register your other properties under the same insurance company most likely you will get a discount. It is wise then to have your car and house insured under the same insurance company. However, if you are not satisfied with their after-sales services, don’t put all of your eggs in one basket. One last thing, installing safety device on your car can help you get a discount. Try informing the insurance agent about the gadgets and devices that you have installed in your car to upgrade safety. Remember, the more safe your car is, the lesser the chances that you are going to make claims. Insurance companies likes it that way. What are you waiting for? Right now you can start searching for auto insurance quotes. Compare them all, and see what fits you best. Start here!